Inspired by the quality and motivated by the satisfied clientele, Randy’s heating stands tall as the premier furnace installation company in Bremerton WA. With an eye for detail, Randy’s heating is changing the game in furnace installation and repair. Gone are the days when shoddy installation attempts dominated the market. 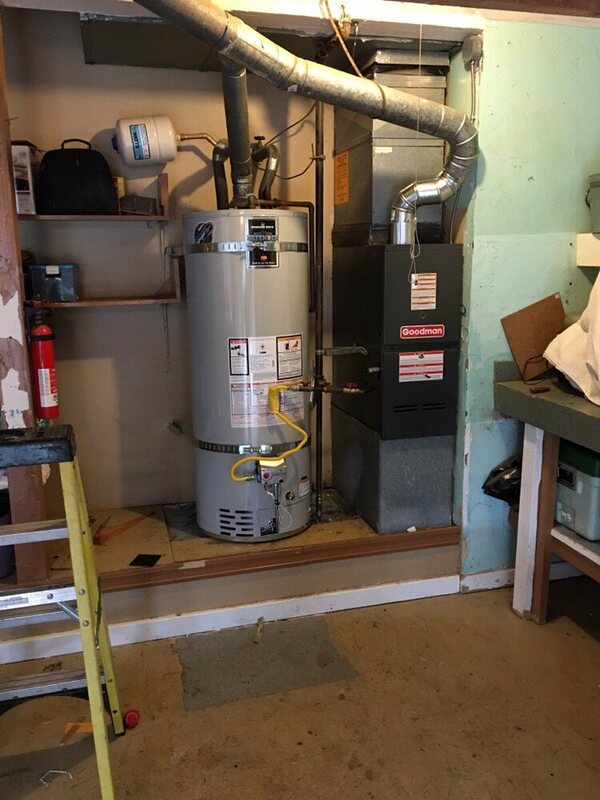 Thanks to Randy’s heating you can now have excellent furnace repair, maintenance and installation services all over Bremerton WA. Whether it’s electric, gas, heat pump, oil or boiler, we have a team experienced staff that can handle all types of furnaces. We have all necessary tools and skills needed to elevate your home heating system to a whole new level. If it’s a new furnace that needs installation, you can be rest assured that we can handle it correctly whichever the model. Thorough checkup– A properly done work equals a happy client. We always counter check all our work to confirm that everything is working before we leave your premises. Neatness– Your home’s neatness is one of our top most priorities when working on your heating systems. That is why we cover our shoes and working area to ensure that we leave your house the way we found it but with a well-functioning furnace. The model has a durable nitride ignite, a heavy gauge steel cabinet with a long-lasting finish. It also has a blower and an insulated heat exchanger section with multiple continuous fan speed options for perfect air circulation. It provides up to 98% AFUE. With an AFUE of up to 97% performance, you are assured of comfort during those cold days. It also features heavy-duty aluminum-steel heat exchanger and a secondary stainless steel heat exchanger. Enjoy up to 96% AFUE performance when you purchase this furnace. It has an electronic control board with self-diagnostic enabling you sense problems as soon as they occur. It too features a tubular heat exchanger and continuous fan speed options that provide a quiet air circulation. It provides your home with 80% AFUE which means you only spend 80 cents per energy used to warm your home. An electronic control board plus an 110v silicon nitride igniter are just a few of other powerful features you will find on this model. With an 80% AFUE and heating input of 60,000-100,000 BTU/H, you can kiss those cold nights goodbye. This two-stage gas valve furnace provides 80% AFUE to your home. Other features include a dual-diameter tubular heat exchanger, a fuller insulated furnace cabinet, and a self-diagnostic control board. Our services are available for everyone living in and around Bremerton, Gig Harbor, Port Orchard, Belfair, Hood Canal and Bainbridge Island. Let us provide you with excellent furnace installation services by calling us today.